Drokx is Electronic Pop, with influences of house, alternative, rock and dubstep creating the music of the future. The enemy had come without warning and left unprecedented destruction in their wake. Their global genocide of our planet was unyielding. I watched my brothers fall as we fought but to no avail. Preserving the most important parts of our archives, I seized everything that I could, destroyed what remained, and escaped as my home fell to dust…"
Drokx is a new project combining Electronic Pop, with influences of house, alternative, rock and dubstep creating the music of the future. 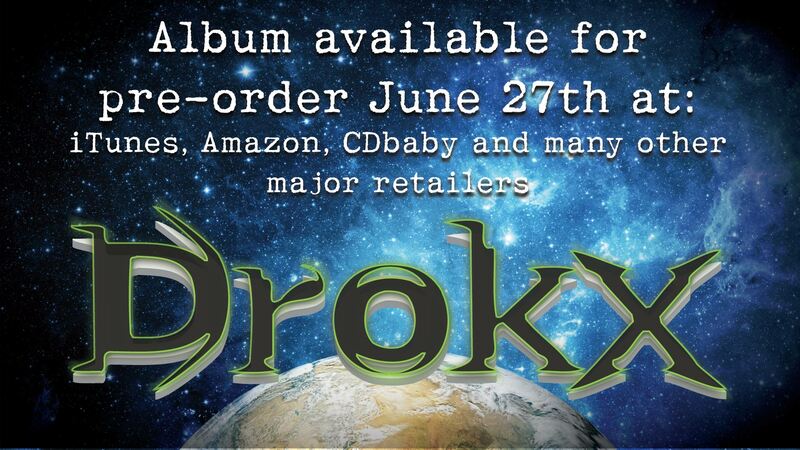 Drokx will be releasing the debut album titled "Inception" on July 25th worldwide. In support of the upcoming album, the first single The Struggle is being released. It is a very catchy song that combines pop and electronica to create a very unique sound that can be heard across the entire "Inception" Album. The live proformances will incorprate a unique combination of both DJ, electronic and live elements to give the audience entertainment beyond your typical band or DJ. Tour dates will be scheduled in late summer/fall in support of the album, and like mixes will be release on Drokx's website (www.drokx.com) in support of the album. With the album pre-releasing on June 27th, fans with recieve the single, The Struggle imedeately. The will be available on iTunes, Amazon, Spotify and all other major music retailers. The future for Drokx looks very bright as he will continue to explore the creative bounderies and release catchy Dance music.